It is great way for students to demonstrate their learning. In addition, it provides a great vehicle for AG&T students to extend their learning in lessons using their iPad. 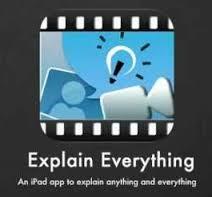 If you are feeling more adventurous, you can use Explain Everything to aid the ‘flipped classroom’ approach.